The remains of a late 16th-century church stand on a low rise near Eassie Farm. The roofless church we see today may have been a rebuilding of a still earlier medieval church on the same spot. 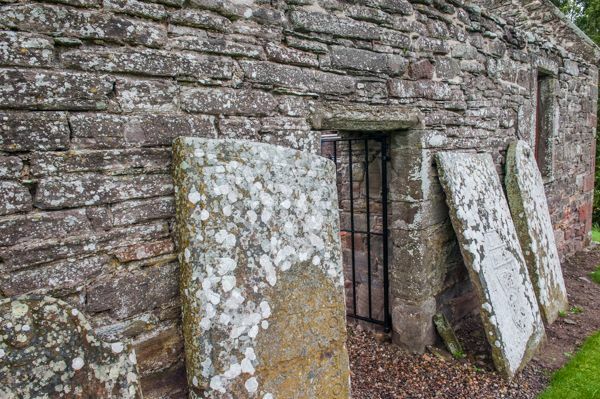 The eastern doorway is original, but a west doorway was inserted in the south wall in the 18th century. 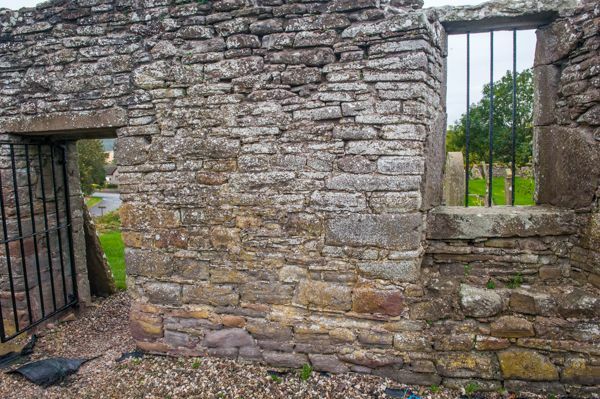 The early dedication seems uncertain; one source says it was dedicated to St Brandon, another that it was dedicated to St Fergus by the Bishop of St Andrews in 1246. We do know that it was granted to Newbattle Abbey in 1309. 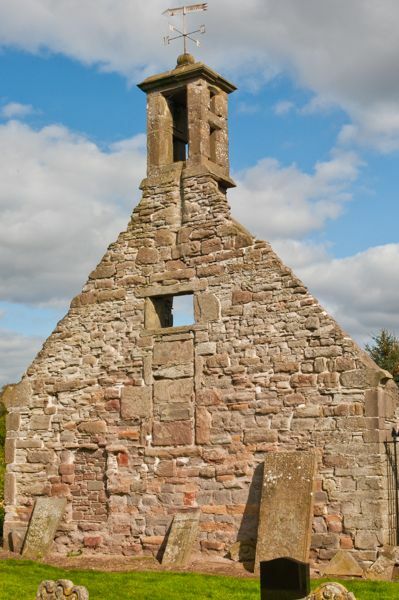 In 1600 the neighbouring parishes of Eassie and Nevay were merged, but it took another 235 years before a new church was built halfway between the two villages, making Eassie kirk obsolete. 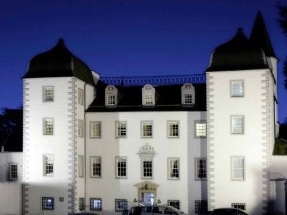 The gables still stand to their full height, and the side walls stand to a height of 2 metres. The church is a simple rectangle, 56'6" long by 15'6" wide. 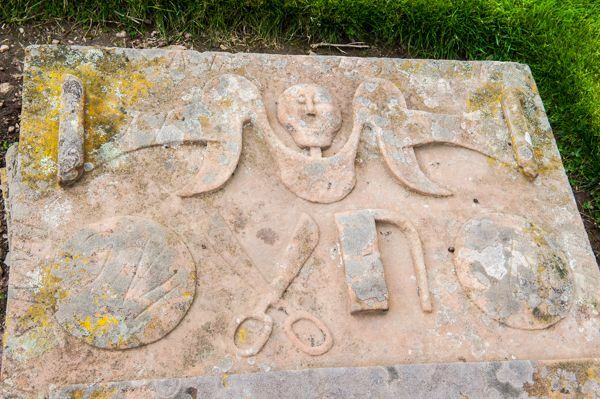 Outside the church are several fascinating grave stones carved with symbols marking the trades practised by the deceased. 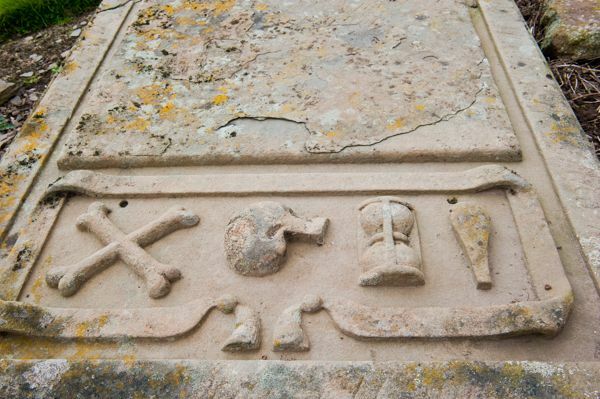 One notable stone shows a pair of scissors, while another depicts objects associated with mortality, including an hourglass and crossed bones. In the church is an elaborately sculptured Pictish stone found in the Burn of Eassie in the 18th century. 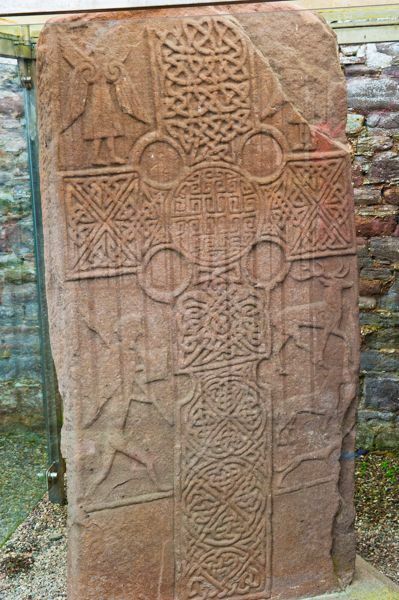 This fascinating Class II cross-slab is carved with a combination of Pictish and Christian symbols. 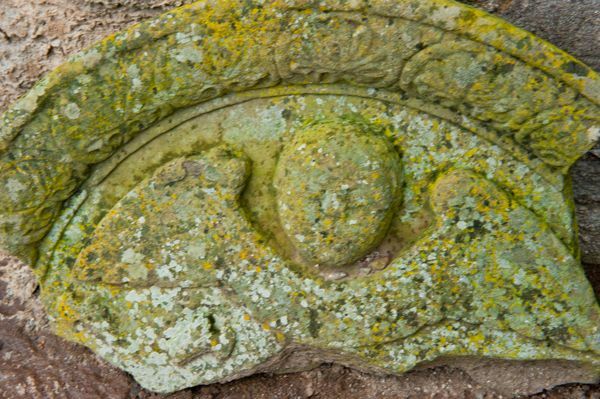 The Kirk is not signposted, but the Pictish stone is signed off the A94 westbound. I haven't yet seen any signs eastbound, however! 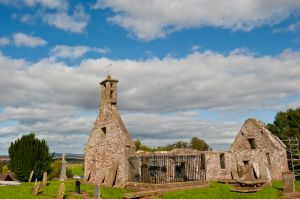 Just make sure you head to the old Eassie Kirk, which is located north of the A94 at Eassie Farm, NOT the nearby Eassie and Nevay villages, to the south of the road.